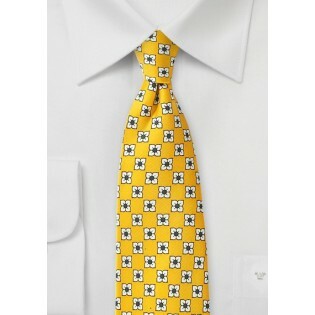 Don't be bashful about adding this bright yellow silk tie with white flowers to your wardrobe. 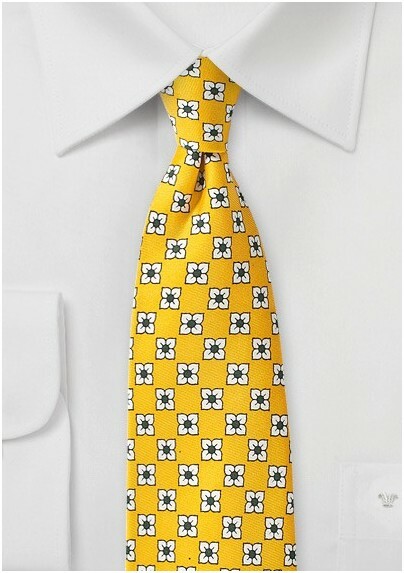 The shocking yellow color, and fun floral pattern provide a tie option that is equal parts sophistication and zany zest. Wear it with some black pants, and a light gray button down to play up this fresh accessory. This 100% silk item will enliven any attire creating a vividly dynamic color appeal.